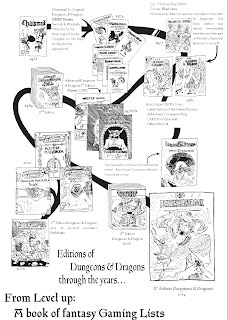 Moving parts of 5th Edition Dungeons & Dragons are designed for heroic fantasy gaming. Mid-level characters are mighty heroes, slayers of dragons, and ready to take on any danger. Their resilience makes them brave, dangerous and deadly threats, with the resources to overcome any obstacle. Usually these are planned adventure arcs. Here's a bad guy. Here's his evil forces. Here's a variety of deadly environments, ripe for heroic activity. I don't have bad guys. I don't have expectations about what will happen when the game starts. I'm here to play a game to find out what happens. The core cycle of play for 5th edition doesn't match that style. What changes do I make to my game so that I can play 5th edition in the classic style? Give 1/100th the experience for killing monsters. Give 1 experience per gold piece value of treasure collected. This shifts the focus of play. Fights are dangerous and they only cost, they don't reward. It puts the focus back on outhinking your opponent to get the riches, without exposing yourself to the risk of a fight. Because your players aren't expecting to get experience by killing things, you're free to populate your world with liches, dragons, and other deadly creatures, because there's no unspoken expectation that players should fight creatures to advance. I also recommend against using the milestone system, because this either presumes an outcome or distances player skill from advancement. They should advance comparable with their skill at securing treasure and power, commensurate with the risks they take. They should not advance simply by reaching numerical thresholds. However, granting experience for surviving your first in-game month, witnessing a death, locating a new feature, exploring a new area, or other tasks that create a sense of adventure or exploration is encouraged, as long as these rewards are delineated ahead of the game and accessible to the players. In general, keep rewards low, and look to advance one level every 3-5 adventures till reaching level 3, and then distribute treasure so that levels take between 4-6 adventures (weeks) to level. Obviously taking a lot of people along and being cautious will slow this rate. Taking risks and braving danger can shorten this. This results in treasure hordes that maintain their value, even if they don't increase in size very much. It makes finding a piece of jewelry or a few hundred coins a rich find. If the treasure grow at a slow rate, it should compensate for the rapid advancement assumed by fifth edition play. See my Hack & Slash blog compendium II for an in depth look at treasure valuation and type. In the 1st edition game I'm currently in, even with a Cleric, Druid, and Paladin healing through bed rest is relevant. Changing a long rest to a week and short rests to overnight makes play more threatening and decisions more meaningful. Characters are forced to spread their resources in a manner more like an older-style game. This seriously adjusts the class balance. Melee classes and classes that don't rely on refreshing abilities (rogues, rangers, champions) are significantly more effective. They don't exist. You die when you reach 0 hit points. That takes it back to Original Dungeons and Dragons or Basic/Expert. There, your game is ridiculously deadly. No classic style game that I'm a part of is actually that deadly. In my game, I use a critical hit table after opponents drop to zero hit points. Any hit taken at 0 hit points causes a serious long term wound or death. Another option, made popular by 1st edition, is any hit that drops you from a positive hit point total to a negative hit point total more than twice your level kills you instantly, otherwise you are bleeding out to -10/-Constitution total/-2xlevel. Take your pick. Classic style play is not about people talking to each other in character, necessarily. It's about the players facing challenges. The games are based around challenging the player, not their character sheet. So inspiration isn't about remembering to display your background accurately—classic gaming assumes background is what happened in play. What happened before the adventure is of minimal importance. Does the Dungeon Master talk in-character for all the monsters? Yeah. Can the characters if they want? Yeah. Is it the focus of play? no. Classic style games focus more on basic resource management. Make the light spell 1st level. Make Continual Flame 3rd level. Make Produce Flame consume a 1st level spell slot if used 6 times. Remove Darkvision from Elves, Half-Elves, Half-Orcs, and Tieflings. This leaves Dwarves and Gnomes as the only races that can see in the dark. You can carry a number of significant items equal to your Strength. A significant item would be a suit of light or medium armor, a weapon, a bundle 5 of torches, a potion, a vial of oil, a lantern, 200 coins, etc. A suit of heavy armor or a bulky item takes 2 slots. If you have more than 1/2 your slots filled, you are encumbered per the variant rules in the 5th edition Player’s Handbook on page 176. If you are wearing a suit of armor that grants disadvantage on Stealth (Dex) checks, you are encumbered. If you have more than 3/4 of your slots filled, you are heavily encumbered. Let common sense carry the day. It's really difficult to get players away from the idea of skill checks. Removing skills from the game is an optional way to move the je ne sais quoi of the game towards a more old school play style. This is certainly the option I would use with new players, to reduce choices required at player character creation. Old school play is fast. Reasons you might have a dozen combats in the course of a session are two fold. Players generally take their actions in groups without worrying too much about which character goes first. Popular options include vegas style, where each side rolls a single die, and high roll goes first, or over/under, where for the first round some players move before the monster, and then the players and monsters alternate turns. The second fold is there's no morale in the versions of Dungeons & Dragons that give the majority of experience from killing monsters. Institute morale to avoid combat slog. You can wholesale steal whatever system you find most useful, but a 2d6 roll against a target based on bravery is fine. If the die roll beats the numbers, the monster flee. Triggers for this roll are losing guys, or having a leader cut down (often providing little mini-missions in combat). Example targets are 11 for fanatic, 9 for brave, 7 for average, 5 for poor. The Bell Curve is important to morale, because it makes enemy behavior predictable enough for the players to take advantage of it. It is possible to convert the appropriate % chances to a D20, but it appears arbitrary, (Why is this one 11+ and the next one 16+ on a d20?). But 2d6 for 9/7/5 (good/normal/bad) is straightforward and predictable. Finally, understand that unlike low level games that cap at the lord stage, 5th edition allows characters to consider growing in power far beyond the first 9 levels, making them powerful in a similar way that demigods are powerful. Consider a limitation of level inflation, either by capping advancement and allowing players to purchase features like E6 or E8 systems, or by increasing the experience points required to advance beyond level 5 by some arbitrary value. It seems like it is a great deal of work to do, and yet, it is not! It's just a few house rules that speed up play. The advantages are manifold. You have easier access to classic style adventures like Eyrie of the Dread Eye, Isle of Dread, and Keep on the Borderlands, now that the gameplay assumptions match what's happening at the table. You have compatibility with the system that's most frequently played. You get to keep playing the exploratory, extemporaneous, player-driven, long term games you love. Watch your players minds begin to turn, as they engage with the game by trying to figure out ways to turn it to their advantage. Brilliant! This is the game that inspired a generation and altered popular culture. Thank you sir, for inspiring me to give 5e a try (with your old school houserules, of course). Currently running Greg Gillespie's Forbidden Cavern of Archaia as a 5E game. Can confirm that your list, C, is the simplest way of making 5e into old-school. I specifically think making short rests a day and long rests a week does a lot of the heavy lifting because it stretches character abilities and resources the thinnest. And I think XP for gold and slot-based encumbrance work hand-in-hand to ensure that spell casters stop looking at all the damage spell and think about environment-altering spells. The darts used by the wizards are called plumbata. 5e also lacks a decent evasion and pursuit mechanic. Movement rates are identical for many many creatures. Differentiating movement rate, and perhaps adapting the AD&D evasion-pursuit rules, this is needed to make 5e more Old School. It's hard to run away when everyone runs at the same speed. That's what grease, ball bearings, caltrops, thaumaturgy (for opening/slamming doors), tho old "drop a handful of food/coins" technique, and a whole host of spells are for. You know, speaking of making long rests last a week, I always thought that a good way to use living expenses would be to tie it to natural healing. Long rests always restore abilities and 1/2 the level in hit dice as usual, but they don't heal hit points. To heal, you have to roll hit dice at the rate of seven short rests, one for each day. At each lifestyle, you may only roll a certain number of HD per day, plus bonus healing. Wretched: May only roll 1 HD per short rest, and the result is half the normal healing. See note on Rations, below. Squalid (1gp/day): Like Wretched, but you get the full healing amount from your daily HD roll. Modest (1gp/day): 3 HD/day, and you start healing extra hp = gp cost of your lifestyle from here on out. Comfortable (2gp/day): 4 HD/day + extra healing. Wealthy (4gp/day): 4 HD/day, but all HD automatically count as their maximum number. + extra healing. Aristocratic (10gp/day): As Wealthy, plus 2d4 temp hp for 24 hours. Long rests restore ALL Hit Dice! Also, Rations are now 1 sp for a week's worth of rations (and between 1 and 2 copper pieces a day, however, they don't normally sell just a day's worth of food), and these rations come in a pouch which counts as a significant item. I know that they are supposed to last longer (iron rations are more expensive in bygone eras of D&D than perishable "standard" rations), and therefore be more useful from the player's POV because their character doesn't "have" taste buds, but seriously? It costs two silver pieces to hire a man for a day, yet FIVE to feed him? *-The food you get from foraging with the Survival skill is also usually Wretched, unless you roll a natural 20 or poach the King's forest for game or something. You can only beg or "dumpster dive" in town, which is why Wretched meals are free of money and skill checks there. However, I wouldn't allow switching up lifestyle during a long rest - if one wants to benefit from living like an aristocrat, it costs them 70gp for the week.